OF No 要用 FOR UPDATE 替代 FOR UPDATE OF. RETURNING … INTO No . SUBPARTITION No Either insert data into the overlying partition, or perform a manual transformation using the UPDATE statement. VIEW No Perform an update on the underlying tables instead. subquery No Perform this operation on the underlying tables instead. RETURNING … INTO No To perform this operation, divide the UPDATE statement with the RETURNING clause into an UPDATE statement with following INSERT statements that have the specified key conditions in the SELECT part. LOG ERRORS No You can add error records by inserting them into the log in the exception block. Iterate through the errors in the exception block, add them to the log, and use the EXIT command when finished. PARTITION FOR No Either insert data into the overlying partition, or perform a manual transformation using the DELETE statement. VIEW No Perform a manual conversion. MATERIALIZED VIEW No Perform a manual conversion. RETURNING … INTO No To perform this operation, divide the DELETE statement with the RETURNING clause into a DELETE statement with following INSERT statements and use the same key conditions in each SELECT. 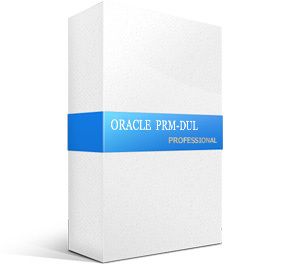 dbms_output.put_line No 将其表现修改为记录到日志表中， 可以使用 PD_ORACLE_EXT.PUT_LINE. dbms_output.put No 将其表现修改为记录到日志表中， 可以使用 PD_ORACLE_EXT.PUT_LINE. FORALL No Try using a WHILE DO statement. LABEL No Try rewriting variables without using labels.